My, how the quality of life would improve if all leaked photos were of this quality. And plentiful! 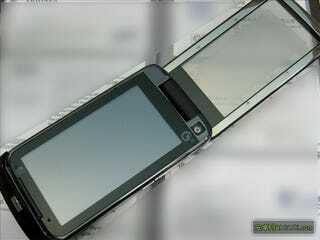 Motorola's 3D "Ming" clamshell is looking very near completion, but the girth looks...challenging. We already know it's 3D capable thanks to the patent that appeared only a couple of weeks ago, showing a clamshell that displays 2D content on each screen, but when closed the two screens together join forces and turn 3D. Yeh, I know—sounds sketchy, but the patent mentions the use of autostereoscopic technology—basically, the same parallax barrier stuff seen in Sharp and Toshiba's glasses-less 3D panels.